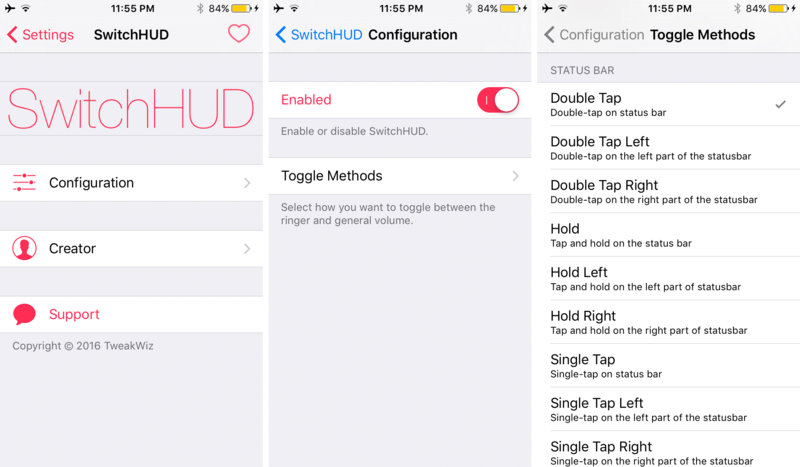 SwitchHUD is a new jailbreak tweak that lets you change the media volume even if there’s no song or video playing. 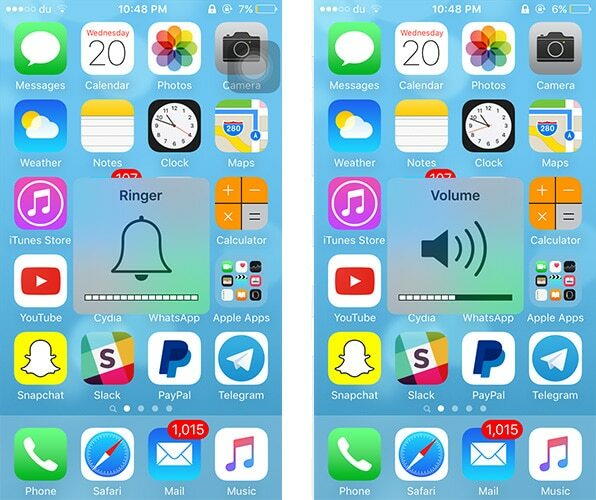 With this cydia tweak, you can instantly switch between the different ringer volume and media volume mode and adjust the volume levels accordingly. SwitchHUD tweak is available on Cydia’s BigBoss repo for free and works on jailbroken iPhone and iPad running on iOS 9.0 – 9.1. After your installed it on your device, a new preferences pane will be added in Settings app, where you can toggle the tweak on or off on demand, as well as choose an Activator gesture as the Toggle Method, just go to Configuration -> Toggle Methods. Once you assigned the Activator gesture for this tweak, you can switch to the media volume and adjust it accordingly even if you are in a ringer mode. The volume HUD is displayed whenever you switch between the two modes so that you’ll know which volume is being used.